2) They have already intercepted communications, and know not to bother getting a warrant. ...that they can't decrypt it if they haven't already tried? Sounds to me like the FBI just admitted to tapping first and then getting warrants later to "keep it if they like it." Bit of a random question. If criminals broke down your front door solely with the intent to murder you and your family, how many do you think you could disable before they took you down. Stories like this that make me believe this scenario is a when, no longer an if of people being dragged out of their homes in the middle of the night. Those in charge have complete contempt for their laws. They treat citizens like dirt to be squashed if they get in their way. 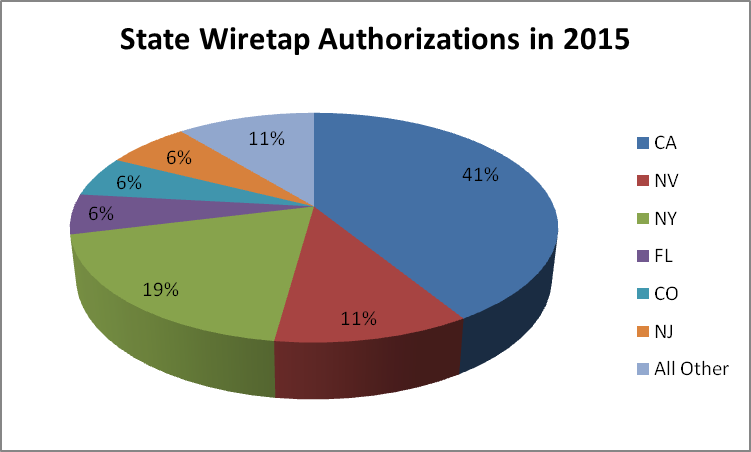 ... every single one of the 4,148 federal wiretap requests was granted in 2015. The picture is just as bleak when you look at the whole decade + 1. Out of 30,694 warrants, only 8 were denied. That's less than ¾ of a warrant per year, or about 0.02 percent.